Aquatec Orca with Reclining Backrest and Blue Covers. 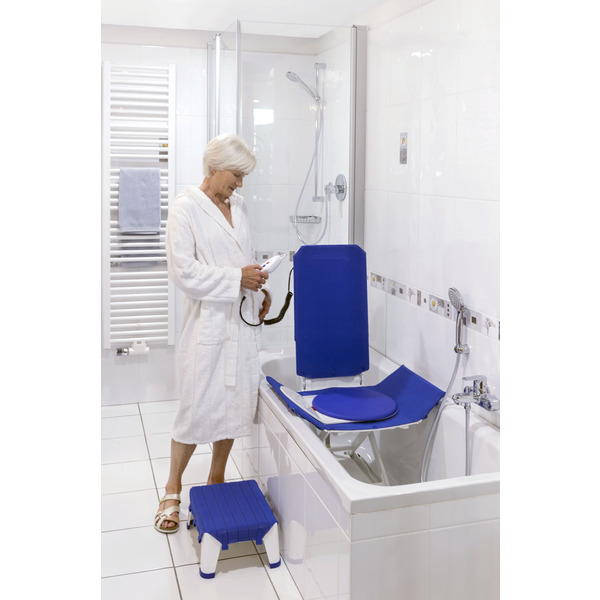 The new blue Aquatec Orca bath lift is of a superior quality, and is a more durable bath lift that has been designed to offer comfort and safety to those who require support and reassurance whilst bathing. The Orca bath lifts design incorporates increased legroom, ease of disassembly and an ergonomic, buoyant hand control that contains the lightweight battery. The hand controller also has a quick release system. 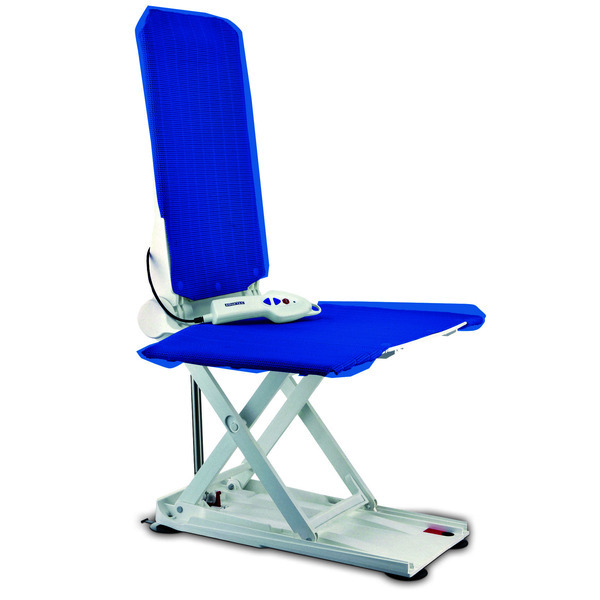 Orca bath lifts incorporate a revolutionary lightweight battery contained within the ergonomic hand control. Raised profile, coloured buttons and an emergency stop feature allow simple, controlled operation to give reassurance and independence. The hand control connects within seconds to the back of the Orca, providing a secure and completely watertight seal. Effortlessly released with just one hand. 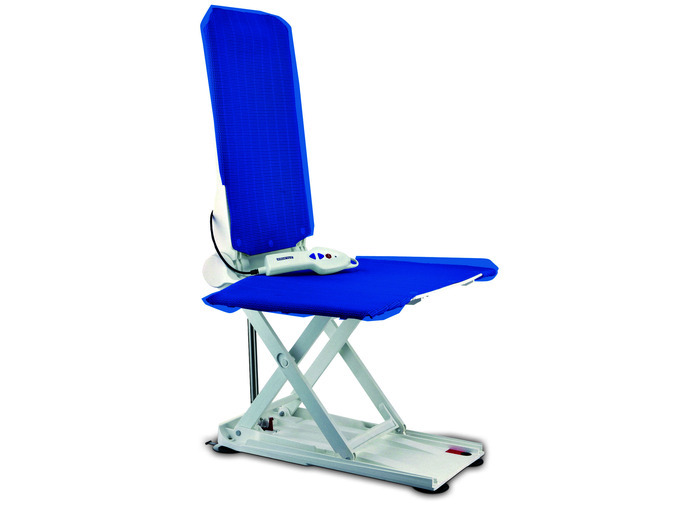 The reclining backrest offers the user a comfortable bathing position. The Orca has a textured surface allowing use without covers if desired. The side flaps are hinged flush to the main seating surface and allow comfortable and safe side transfers, without entrapment of skin. When pushed forward the Orca's backrest folds down and automatically unlocks. The backrest and base section can then be removed from the bath with ease. The 2 sections fit neatly into one another to give an extremely compact size for storage. The Standard Aquatec Orca has a weight limit of 135 kg (21 stone).